The 2016 edition of the Prolific North Top 50 Integrated Agencies, sponsored by Better Placed, will be revealed on Wednesday. 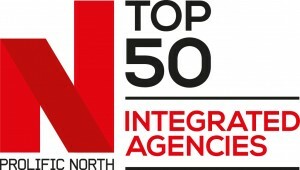 As in previous years, the 2016 list will represent the UK's benchmark ranking and definitive guide to the North's leading integrated agencies, spanning a wide range of advertising, marketing and creative businesses. And for a fourth year on the trot, Better Placed is sponsoring the initiative. Last year, McCann Manchester came out on top for the third successive year, with other Manchester agencies WRG and Havas Lynx taking second and fourth respectively. There was another good showing for Yorkshire agencies however, with Jaywing, Home, Brass and Intermarketing all inside the top seven.